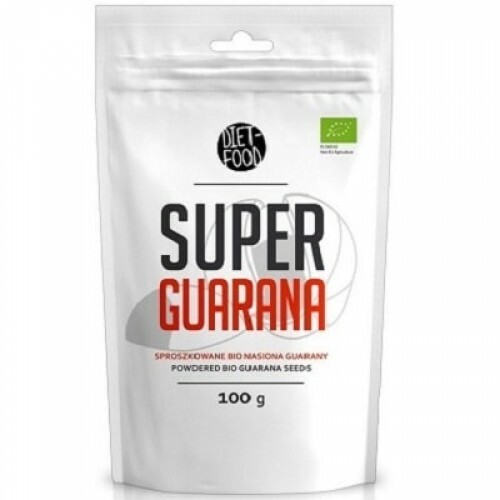 Super Guarana is a source of minerals and vitamins and fatty acids and therefore belongs to the category called SUPERFOOD - food healthy with unusual properties. It’s primarily a great alternative to coffee because guaranine contained in guarana is slowly absorbed by us, what stimulates longer than caffeine from coffee. Guarana increases the energy and strength of the body, and because of the high content of antioxidants have antioxidant properties. Mix 1-2 teaspoons with your favorite milk, yogurt or juice, add to cereals, desserts and salads.